Base class for most structural elements of 'beam' type. Note, eta=-1 at node1, eta=+1 at node2. 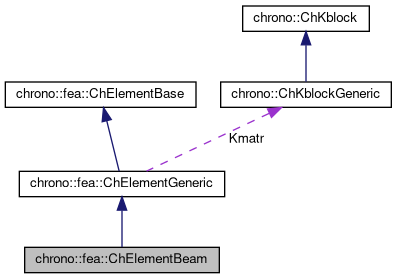 Implemented in chrono::fea::ChElementBeamEuler, chrono::fea::ChElementCableANCF, chrono::fea::ChElementBeamIGA, and chrono::fea::ChElementBeamANCF. Note, eta=-1 at node1, eta=+1 at node2. Results are not corotated, and are expressed in the reference system of beam. Implemented in chrono::fea::ChElementBeamEuler, chrono::fea::ChElementCableANCF, and chrono::fea::ChElementBeamIGA. Set the rest length of the bar (usually this should be automatically done when SetupInitial is called on beams element, given the current state, but one might need to override this, ex for precompressed beams etc).